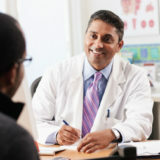 Why choose an ENT Physician for your Allergy Needs? Many times it can be difficult for a patient to know whether a problem with their sinuses is caused by an allergy, infection, structural problem, or some combination of these. An ENT Physician is trained to help sort this out, and then to treat the causes. Sneezing, runny nose, post-nasal drip, or itching eyes. 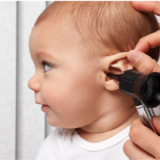 Chronic sinus or ear infections. If your symptoms are ear, nose, or throat related. You will need to make an appointment with one of our physicians to discuss Allergy Skin Testing. Once seen, a referral for testing will be sent back to the Allergy Department and you will be scheduled for an appointment. The test takes about two hours to complete. We suggest that you eat a good meal prior to testing. A follow-up appointment is then made to discuss whether or not you are a candidate for Immunotherapy. Once your personal treatment mixture is prepared, you will receive a call from the Allergy Department and you will then begin your “Build Up Phase” to feeling better! Allergy injections are given on Mondays after 12:00pm—they are also available Tuesday through Friday (please call ahead to confirm). Plan a 20-30 minute wait time after each ‘Build Up’ injection. When can you expect relief from your symptoms? Typically, we’ve found that you can expect to start feeling the benefits from your immunotherapy once you have reached your personal maintenance dose. Because each patient is different and your course of treatment is based on your test results, this will vary from person to person. Your personal course of treatment will be discussed at your initial immunotherapy appointment. We at the Cape Fear Otolaryngology Allergy Department are devoted to making your course of treatment as easy as possible for you. Before you know it, you will be well on your way to a happier, symptom-free you!